Learning to listen to your gut- when you feel gutted. Last summer, I arrived home in Nashville when the realization hit me- I had left my planner on a freaking airplane. My heart sank to somewhere around my ankles. I frantically started sending messages and submitting multiple lost item notices to the airline, tracing my steps back to when I last had it, looking up my specific seat assignments in hopes that somewhere out there SOMEONE would be as OCD as I am to record where exactly my lost item had been found- because I KNEW I had left it in the seatback pocket of 27E. Why was I sending multiple imploring emails stating the specific location of my planner? I’m not so incredibly busy that I suddenly envisioned all of the scheduled appointments and meetings I was going to miss because I’d lost it. So why in the world was I freaking out so much? See, I use my planner in a very… unique… way. I honestly can’t believe I’m admitting to the internet that I’m this weird. But here goes. When I first started seeing a counselor in Nashville, I was in a rough spot. My mom hadn’t even been gone a year. I was working a new job which I hated from the hour I started, and the nature of it put me in front of strangers all day, every day- strangers who asked prying questions about my life. Strangers who, if they saw tears in my eyes, asked condescendingly if I had a problem with a boy. I hated that if I accidentally allowed someone to get a glimpse of my pain, they quickly reduced it to something silly. I internalized that. I thought my pain was silly. I only told two people at my new job that my mom had just died. I wanted to come to Nashville to sing. Instead of singing, I was working as a makeup artist at a department store. I was writing songs in my bedroom and half-heartedly working with a cowriter once a month, but that was about all that I had the energy to do. Or at least that’s what I believed. When I started to see this counselor, I was so full of shame. I explained, my cheeks flaming red with embarrassment, how disappointed I was with myself. That I wasn’t chasing any sort of dream. That I was working a job for which I had literally no interest or passion. That I had fallen into a pattern of sleeping too much, and dragging myself to work, and that was about it. She looked me square in the eye and told me I was being ridiculous. She pointed out that I had also managed to move to a new city. To set up a new home for myself. To quickly find a job that paid enough for me to be comfortable and worry-free. To write songs simply for the sake of letting music heal me. To make it to the park every once in a while. To go grocery shopping. To shower and put on makeup and do my hair for work. To keep moving. She pointed out that while I was working with some major depression, I was plowing through my days without help from anyone. I admit that I’m a Perfectionist, but the grace and understanding I had withheld from myself hit me like a wave. I was drowning myself in my own criticism. I was already hurting so badly- and then I was adding self-punishment as the cherry on top. My counselor wanted me to stop being so harsh on myself and to start actually noticing what I did accomplish. So, being the over-achiever that I am, I bought a daily planner. I knew full well that, unless it was written down, right in front of my face, I wouldn’t be able to convince myself that what I was doing was enough.I started recording my achievements each day. I made bullet-pointed lists of things like “exercised” “tried a new recipe” “went grocery shopping” “worked 1 PM- closing” “dinner with roommates”. As long as I could look back at a day and tell myself that I had at least done SOMETHING, no matter how small, I had made a step in the right direction. My efforts were not insignificant. I was keeping my head above water. I wasn’t drowning. When I lost that planner, I lost what felt like the only proof I had that I had not wasted that entire year. 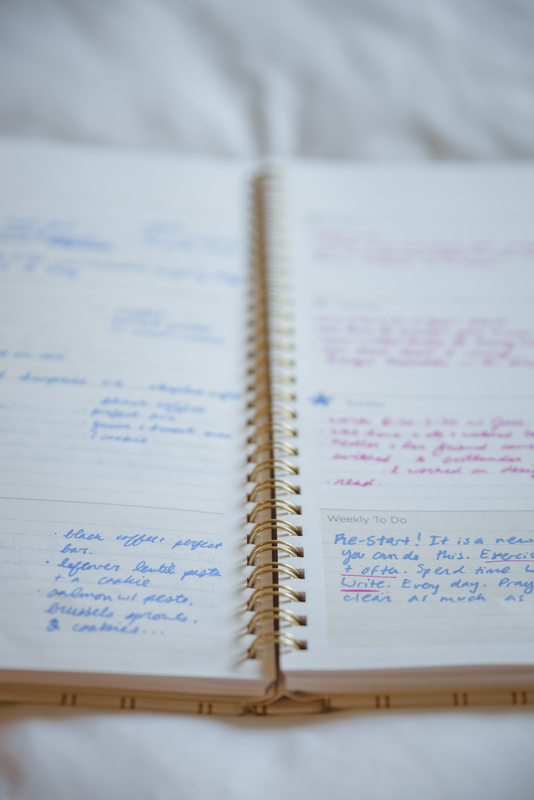 The real importance of the planner was that I was deliberately taking the time to recognize my own efforts. I was acknowledging the work and diligence I put towards trying to be the best version of myself under the circumstances. I wasn’t going to crumble. That’s why… I went out and bought me a new one, y’all! I’m not trying to convince you to go out and buy a planner, turn it into a strange, bullet-pointed diary, and prove yourself to be as obsessive as I am, LOLLLL. What I am trying to encourage you to do, though, is to make an active effort to realize that you’re doing alright! You’re making it work! No matter how hard, no matter how painful, no matter how freaking boring your life might be when all you can manage to do is sleep and eat and work…. you’re doing something! I actually think this is a great lesson to learn for anyone in their twenties. No matter the situation, it’s important to celebrate our little victories, to delight in our productivity, and to reflect on our day-to-day patterns. I’m not all that great at what they call mindfulness, so I try to buy back my mental health “cred” with reflection. Not sure it’s working, but at least it’s something, right? I’m happy to say I don’t need the planner as desperately as I used to. Yes, I still use it as a tool because I know that it just plain ol’ makes it easier for me to have faith in myself. That’s the whole point. Give yourself compassion, and do it frequently. I hope you find a way to recognize all of the amazing work you do to move forward with your life. 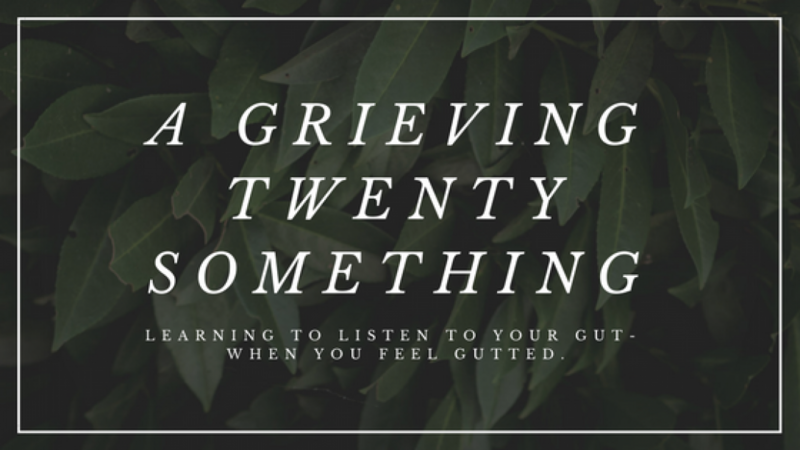 Being A Grieving Twenty Something IS NOT easy. It IS a full-time job. You should be proud of yourself for getting this far. Next Post So, Your Bestie is Grieving. How Can you Help Them? Your are one awesome woman, putting your feelings for the world to read, I only wish I could do the same. Meeting you was on of my highlight of SI.